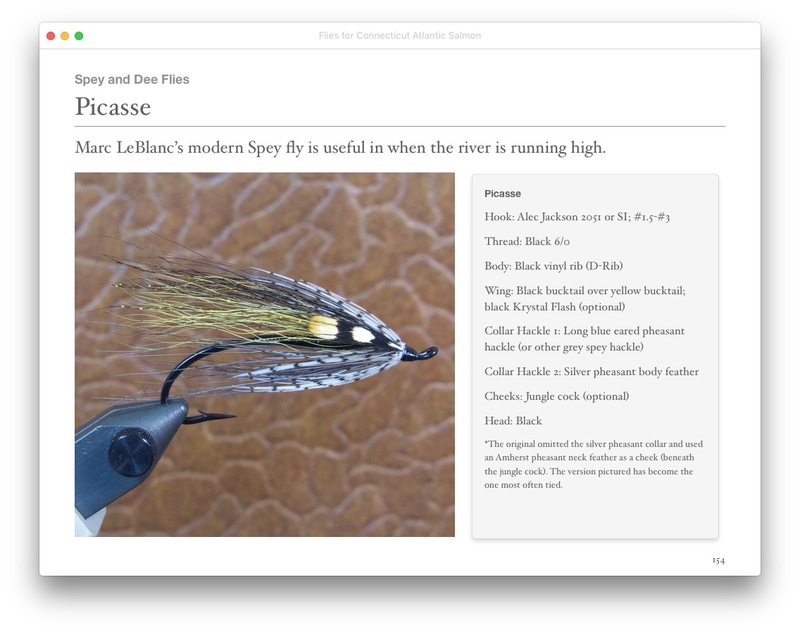 Excerpted from "Flies For Connecticut Atlantic Salmon"
I don't have much to report. Last season, I lost November fishing days to the flu and a stomach virus. I've stayed pretty healthy this year, thank goodness. Late October and early November have been work, work, work....I'm not complaining. I love working. I love fishing too, though. My recent trips have been limited to an hour here, or 90 minutes there, most of the time during the worst part of the day or on an altogether bad day. I just wish I had more time to fish before winter rears its ugly head. Thankfully, there are few signs of winter on the horizon just yet. The last day I had to fish all day long was way back on November 1! I had that chance again on November 20. Too bad Mother Nature wrecked it. I fished a couple of pools and called it quits early. Rain brought the river up quite a bit and the Naugatuck at 1010 cfs and dirty isn't very fun or productive. I've had success in flows near that, but only when the water was relatively clear. Yesterday, I got tired of hooking the floating debris and leaves and went home early. The river was in much better shape today. The water temperature was between 46º-48º, which is warm for this time of year. The air temperature was about the same. The water was slightly off color, but not too bad. The flow was good, averaging around 350 cfs. I managed to squeeze in a couple hours and made one pass each through four different pools. I hooked one salmon in the second pool of the four. It didn't hit very hard and I actually thought I had hooked a branch. Then the branch leaped out of the water. I brought the salmon within a leader length from me before he jumped and spit my sz. 5 Picasse into a tree. It was better than nothing. It pains me the amount of salmon fishing I am NOT doing.... maybe I'll take some time this coming weekend to catch a couple for you. Nice fly. I love the simplicity.